Centralia, WA. – August 25, 2008 – Centralia Outlets announces the Grand Opening of a Bath and Body Works Outlet located at 114 W. High Street. The grand reopening will take place on Monday, September 8 with a ribbon cutting ceremony scheduled for 10:00am. Bath & Body Works specializes in numerous fragrant indulgences, including shower gels, lotions, candles and accessories. Located on the east side of the freeway and next to Helly Hansen, the store will be over 3500 square feet. The center is in its final weeks of a major renovation, which has transformed the center to an upscale look and enhanced the shopping experience for its customers. The renovation and the outlets’ exceptional location have created a flurry of leasing activity. The edgy Volcom store opened a few weeks ago and big name tenants Polo Ralph Lauren Factory Store, Nike Clearance Store, and Lane Bryant Outlet opened this past year. Additional new stores announcements are expected soon. 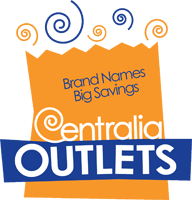 The Centralia Outlets currently boasts over 30 outlet tenants, including national brands Eddie Bauer Outlet, Van Heusen, Helly Hansen, L’eggs Hanes Bali Playtex, Easy Spirit and Bass, among others. The merchandise represented at the mall includes everything from kitchenware, shoes, apparel, luggage and toys.